Home › Blog › Should We Hire Another OpenText Consultant? Companies all around the globe invest in OpenText tools and solutions, which increases the demand for OpenText consultants globally. According to Indeed, a Senior OpenText Consultant in the United States gets up to $250,000 annually. As reported by Indeed, the average salary of such specialists surpasses $100,000. On the other hand, the average salary of an OpenText Project Manager is about $130,000 and can reach to up to $280,000. 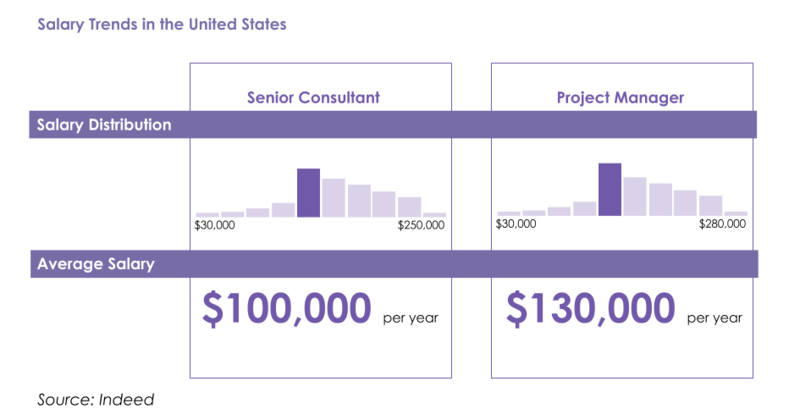 These estimates are based on thousands of salaries submitted anonymously to Indeed by employees, users, and collected from past and present job advertisements on Indeed in the past 36 months. As we are working in this industry for over 15 years, we know that each time a major OpenText project is planned, your company needs to analyze and plan it’s resources. But if you lack the needed expertise or manpower to pull off the next project by yourself, here are a few options for you to consider: hiring a full-time employee, freelancer, or professional service provider. Let’s explore the pros and cons of each of these options. Multitasking – your full-time employee could be utilized based on the project needs and their knowledge. Knowledge of ins and outs of your business – your full-time employee will learn and become a part of your corporate culture. Investment – your full-time employee could learn and provide your organization with more useful skills. Commitment – your full-time employee will feel a higher level of commitment to your organization. Complexity – nowadays, it’s extremely complicated to find experienced and suitable candidates for a full-time position as most of the people with this kind of knowledge work for consulting companies, or as freelancers. Risk – your full-time employee runs the risk of lawsuits and unemployment claims. Vacation – your full-time employee in most cases would require coverage while taking time off from work. Office space – your full-time employee requires an office or workspace. Harder to terminate – full-time employees are hard to terminate as you may have to follow your organization’s disciplinary steps. Savings – working with a freelancer is a smaller expense over a full-time employee. Over $100K per year plus benefits for a full-time employee vs $150+ per hour for a freelancer. Also, companies don’t need to invest into training and certification of freelancers, as they come with the needed knowledge. Flexibility – freelancer is a perfect solution for specialized tasks and short-term or one-off projects. 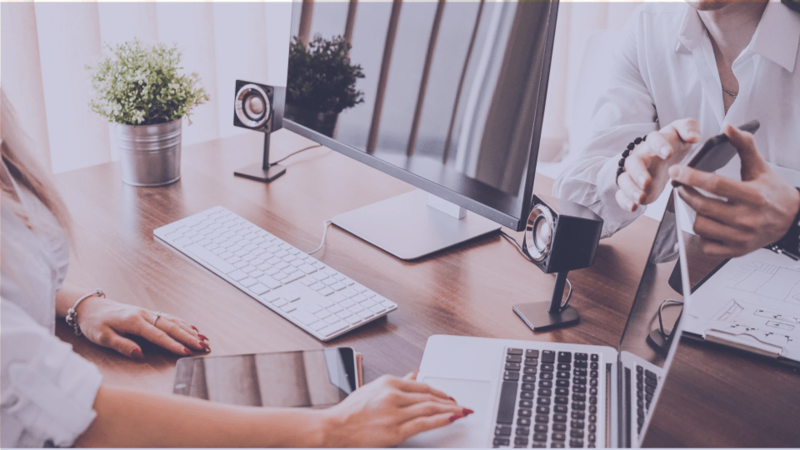 Limited training – freelancer normally don’t need to learn your company’s culture, they’ll primarily focus only on learning the needs of the project. No office space required – freelancer doesn’t require permanent workspace area – only for the duration of the project. Easy to replace and terminate – if they are not working out, freelancers are easy to terminate and/or replace. Multitasking – freelancer in most cases is only hired to do one thing. All projects are billed separately. Commitment – freelancer wants to keep you as a client and your company’s success is not their priority. Unpredictable workflow – if something happens with the freelancer, there will be no one to replace him with. Project size – normally a freelancer can only handle projects at low scale. Multiple projects – most of the time, freelancers work on multiple projects at a time and may give a little weight to your project. Costs – depending on the nature of the project, the costs of hiring a service provider is mostly lower than hiring a full/time employee in the long term. Continuous Support – with a service provider, as part of your annual contract, you can get support when and how you need it. IT Staff – ultimately you can supplement your IT staff with the service provider. Collective Experience – because service providers work with many other businesses, they have seen and solved most of the problems that you may encounter. That’s why, they are always more experienced than full-time employees or freelancers, and projects can be implemented faster/better and problems can be solved faster. Updates/Upgrades – service provider will stay on top of the technology and make experienced recommendations regarding software and business applications. Location – most service providers offer onsite and remote services. Turnover – the turnover in the technology industry is high. It’s possible that on one project you worked with one person/team, and a year later, on the next project, you’ll be working with another person/team. Of course, the conditions of each cooperation can be discussed and depends on the parties, situations, and project. Most of the times, the experts from professional service providers remember project details better than the customer himself and are sharing the needed project details with the colleagues that are assigned to do the next project. Trust – since you are giving access to an outside firm, the trust could be an issue which would require a higher level of security and access control. Of course, all of them have an advantage over one another, but let’s talk about more difficult to find and hire, a Service Provider. Your HR team knows how to search and hire a full-time employee, how to find and hire a freelancer, but it is hard to find and hire a service provider that is experienced and trustworthy. Well, there are several ways of finding the right service provider for your OpenText project. You can start with a simple online search and see who pops up. You can contact as little or as many companies that you would like and get quotes. Another way to find the right fit would be to attend OpenText events and look for references from the companies who underwent the CCM project in the past. By asking for references you have the ability to find out first-hand about certain company’s performance as well as the customer’s experience. Let’s say that you have done your homework and researched the service provider. What now? Just because they seem to be a good fit it doesn’t mean that they can help you with your next project. Cost – as we all know, the project cost is one of the most important aspects of any work and if a company cannot perform within or below the budgeted amount, they should be avoided as most likely they lag experience or resources. Project experience – as mentioned above, if the company does not have enough project experience, they can run into problems which would ultimately cost time and money. Available resources – this is another cost associated criteria which could delay any project. If the service provider underestimates the required resources for a specific project, they may not deliver the project on time. Knowledge of working with any size company – your service provider should have a working knowledge and experience with any size company. They need to understand that while working with a Small company, they would deal with one or two people all the time. Working with Medium to a Large company, the partner would most likely be working with different people. It is important for the partner to understand that there could be one or many decision makers depending on the size of the organization. Working with your ecosystem – knowledge regarding how to handle and work with your business systems is key. Many companies have very sensitive information stored in their databases which are very easy to damage if not properly handled. That is why it is also very important for the partner to have experience working with your business systems so that they know how everything works before and after the project. Ecodocx helps customers worldwide to leverage their investments in OpenText solutions and optimize their business processes. Our key areas of focus are Customer Communications Management (CCM) and Enterprise Content Management (ECM), particularly with SAP. Ecodocx offers a comprehensive set of expertise in different OpenText products, modules, and integrations. Our experts have implemented and maintained OpenText solutions in various industries, such as utilities, manufacturing, healthcare, finance, insurance, telecom etc. Our clients come from around the globe: North America, Latin America, Europe, the Middle East, and Asia Pacific. Our team has great experience implementing OpenText products onsite and remote, installing, configuring and customizing its components, and ultimately, delivering comprehensive cost-effective solutions. We also provide consulting services to leverage clients’ existing and future investments in OpenText and SAP product suites. Our ever-growing customer base includes Fortune 500 companies. We also provide integrated development services to further enhance customer experiences with their OpenText investments. There are a lot of considerations to take into account when hiring someone. 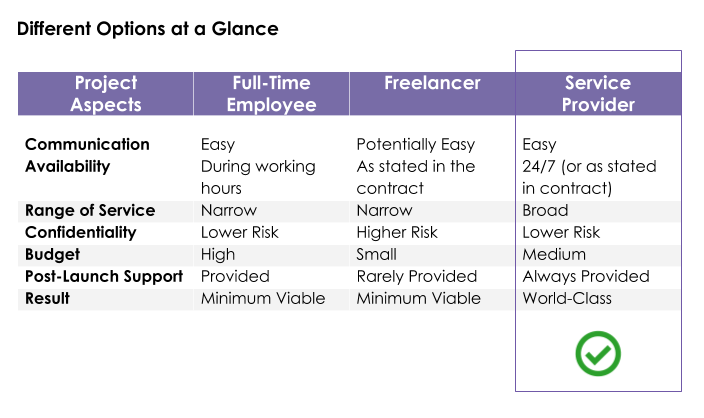 This set of information will surely let you draw an inference between full-time, freelancer and service provider. As long as you categorize correctly, there are more ways than ever to find the right mix to help you grow your business. So if you would like to learn more about our professional services, don’t hesitate to contact us.